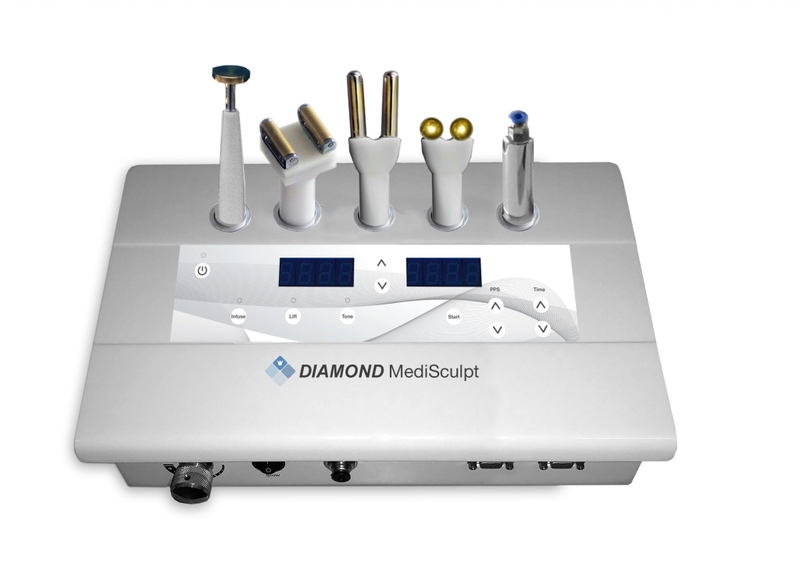 Diamond Contours Biomesosculpture™ uses a system which creates a reduction of visible cellulite and congestion anywhere on the body. It stimulates the extra cellular matrix or the fluid substance just under the skin, to treat the first stage of cellulite, which is stagnation, and the second stage which is cellulitis. Diamond Contours reduces stagnation by increasing circulation and infusing pure plant botanical herbal and homeopathic extracts into the epidermis of the skin. This is a comfortable state of the art treatment reducing cellulite and fatty build up on the face and body. Clinical studies based on before and after MRI scans which were taken for each patient show a consistent reduction of fat for the abdominal patients – whether in liposuction, mesotherapy or any other treatment a real fat loss is considered permanent. Diamond Contours machine is effective in the reduction of stagnation and promotion of lymphatic drainage which are both important causes of cellulite. This same clinical study has shown effective fat reduction in the region of 1cm a session, sometimes more. Safe enough to use on a daily basis, Diamond BioMesoSculpture can result in a 10 cm loss in waist circumference if treated daily for 10 consecutive days! Gentle fat disruption with simultaneous lymphatic drainage all via the same treatment head results in swift reduction in fat content without the pain of injections or surgery. The treatment is 100% safe usually with no adverse reactions at all!